For online coding on packing lines like FFS machines, Auger Filers, Packaging systems, We are offering a very wide range of online batch printing machines, coding and stamping machines for overprinting / coding by mounting on packaging machines. Used in variety of applications and at various speeds, these coders are excellent value for money and printing quality is immaculate. Clients are offered by us a range of Pharma Packaging Machines. These are primarily known in the market as coding, stamping and on line stacking printing machines. 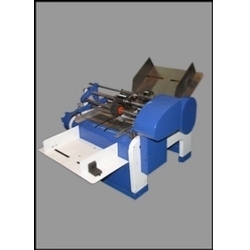 Moreover having a proper mechanism, these machines help in marking of batch numbers, MRP, packaging dates and other information on the packaging material. Looking for Packaging and Coding Machinery ?